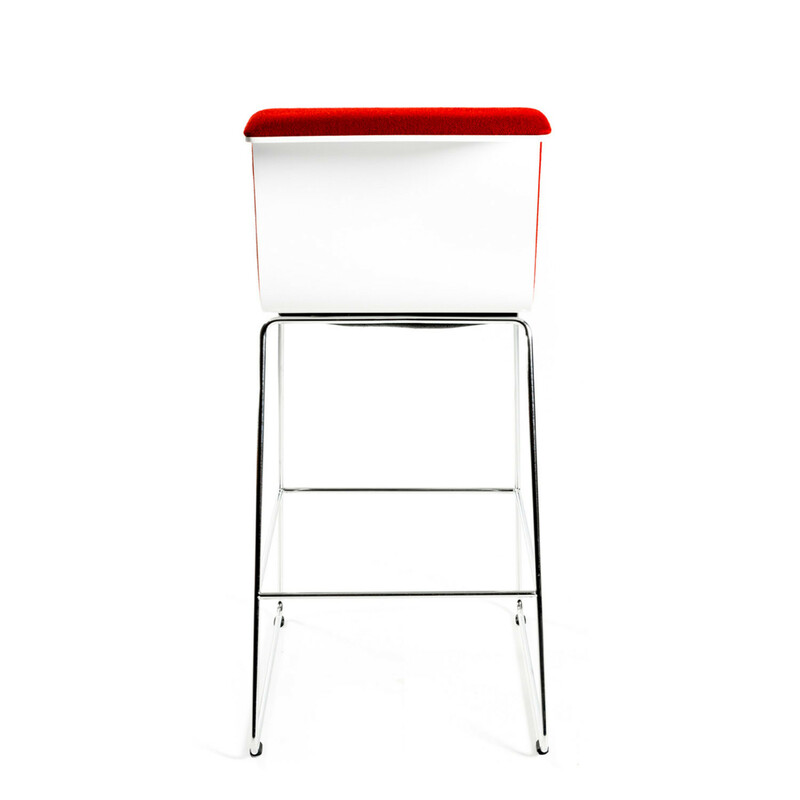 Tab Bar Stool by Alain Berteau. 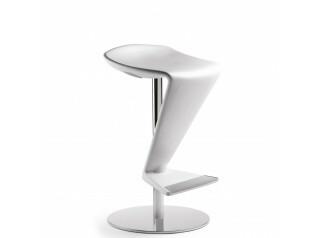 Specifically designed to be used either in bar areas or in communicative middle zones and recreation rooms (breakout areas within the office) in combination with high tables, Tab Bar Stool achieves an elegant design with its curved seat shell. 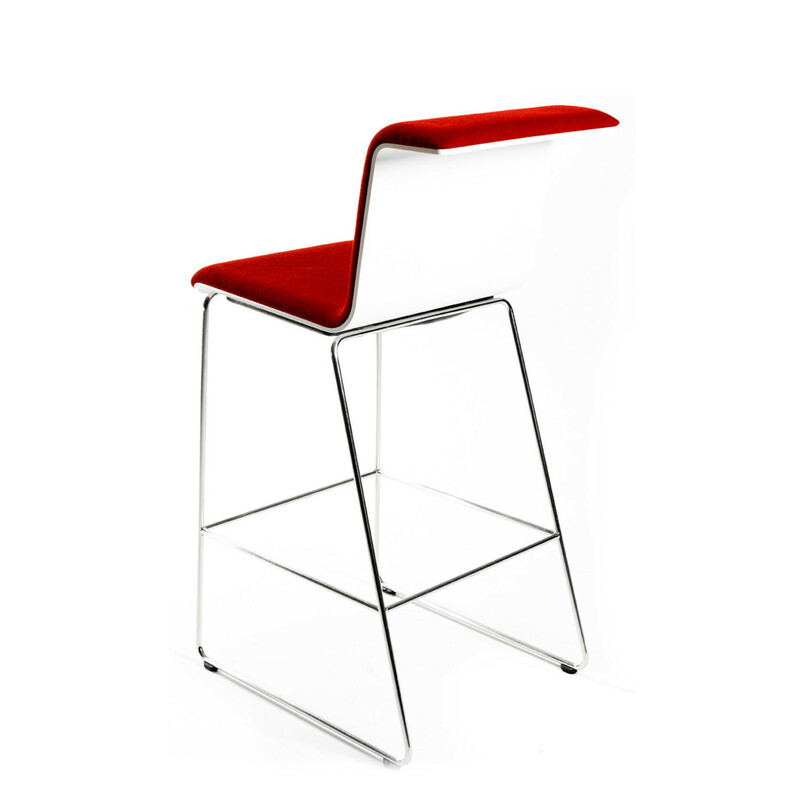 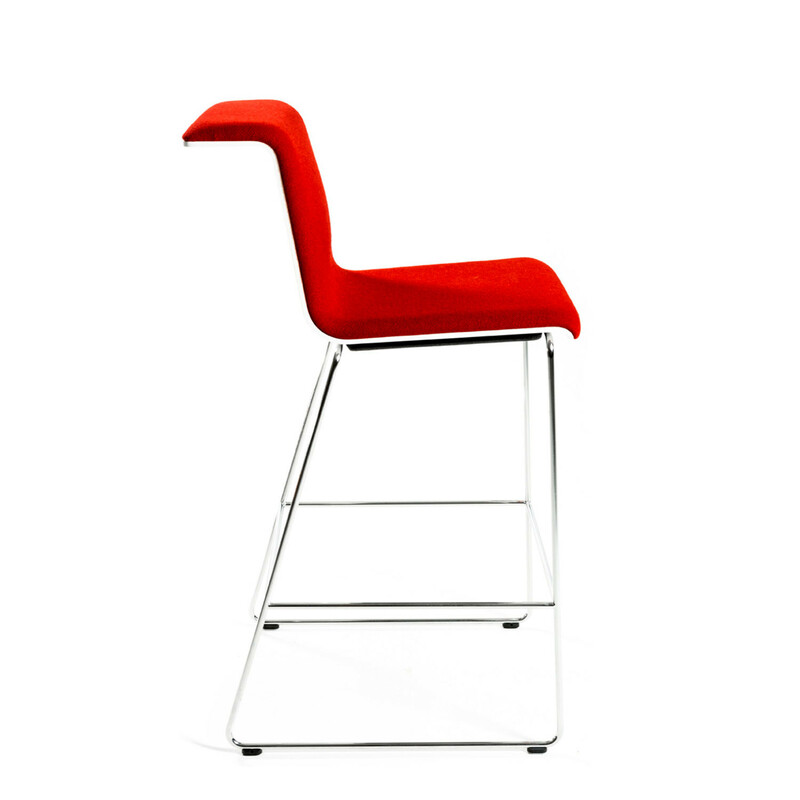 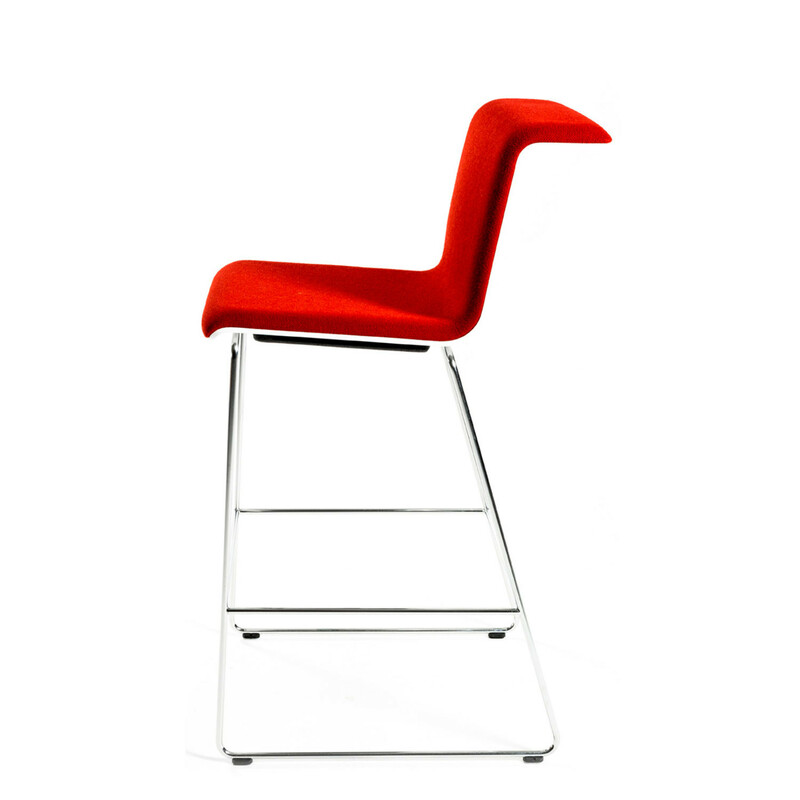 Tab Bar Height Chair features a frame in chrome or black. 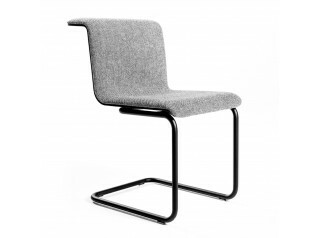 Fixed height. 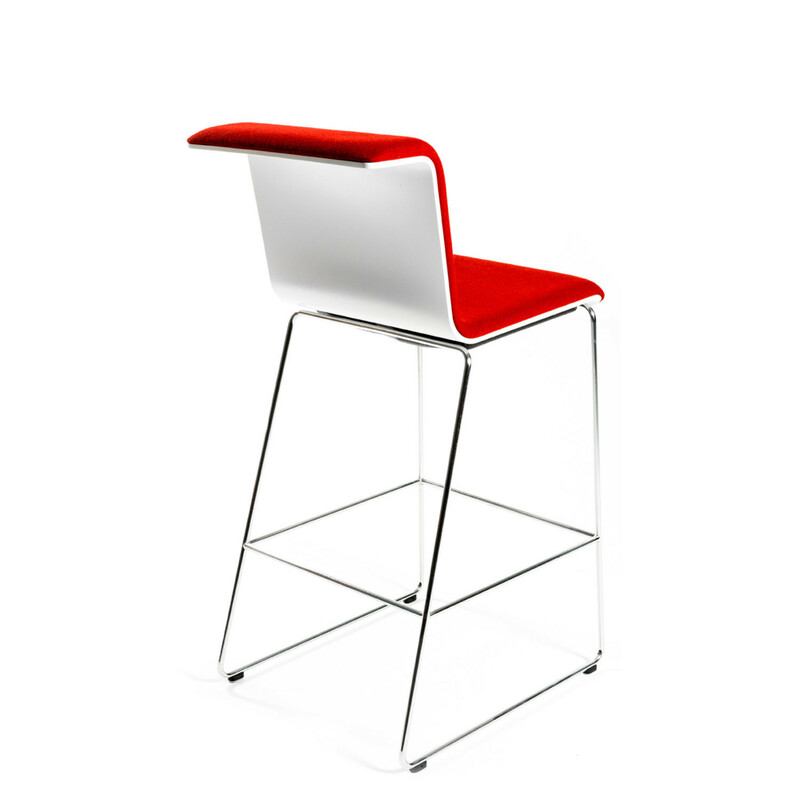 Shell lacquered in different colours or in veneer. 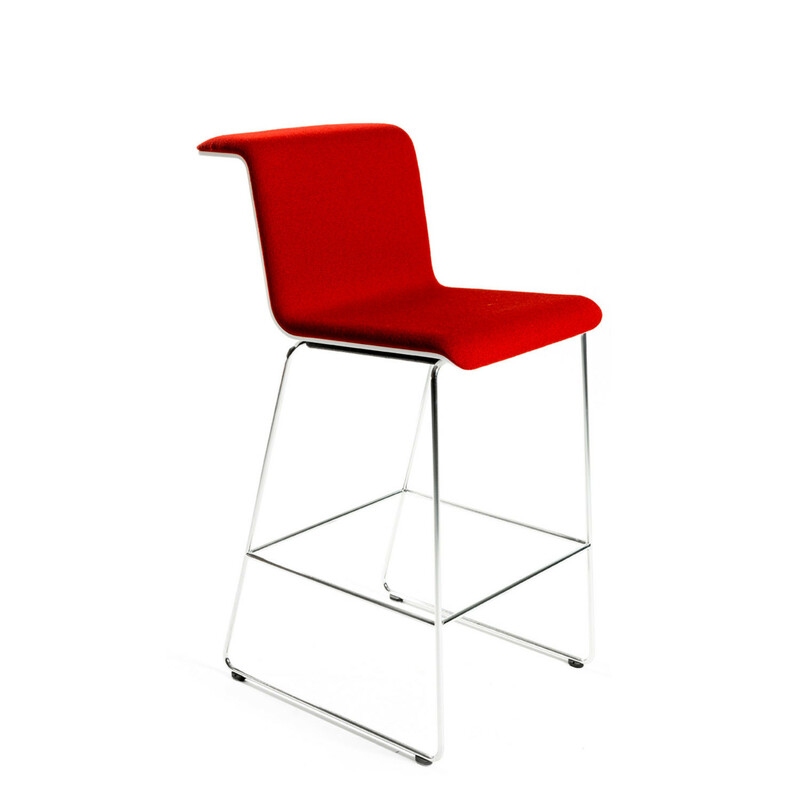 Upholstery: leather, fabric, vinyl. 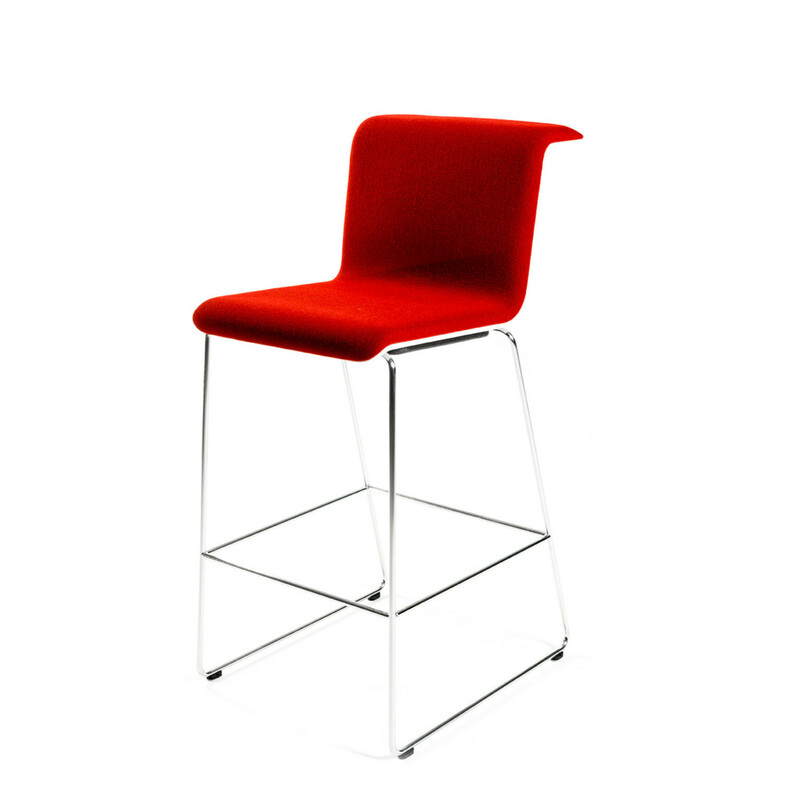 You are requesting a price for the "Tab Bar Stool"
To create a new project and add "Tab Bar Stool" to it please click the button below. 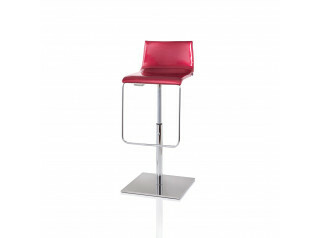 To add "Tab Bar Stool" to an existing project please select below.